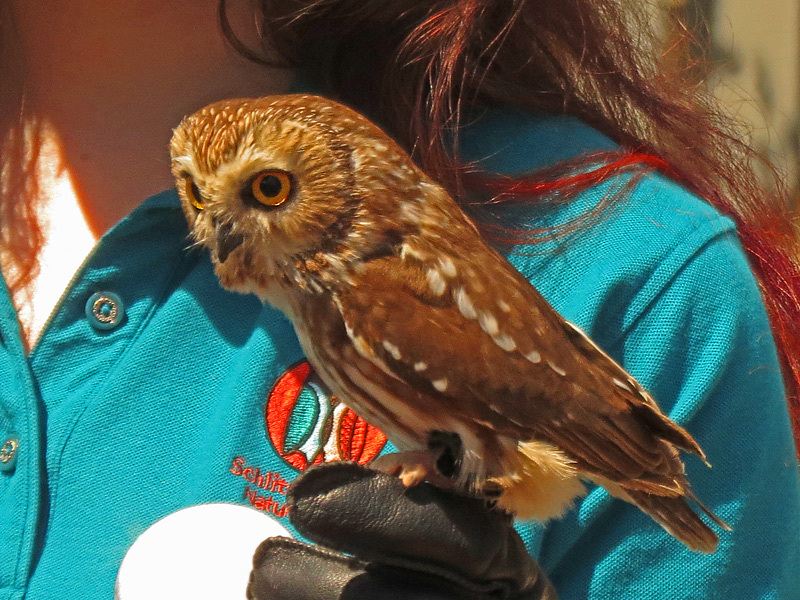 The rehabbed Northern Saw-Whet Owl was photographed at the Wisconsin State Fair from the Schlitz Audubon Nature Center in Milwaukee. The Northern Saw-Whet Owl is a very small tame-like Owl brown in color with white braces on the back and brown streaking below, and with a pale buffy facial disc. It is fairly common but hard to spot in nature. It has a range from southeast Alaska, Canada, western and northeast United States to central Mexico. It has a habitat of forests, conifers and groves. They roost in dense cavities or in dense vegetation. Their diet is mostly small rodents, and swoop down on their prey at night from a high perch. These birds have exceptional hearing and vision at low light and night. 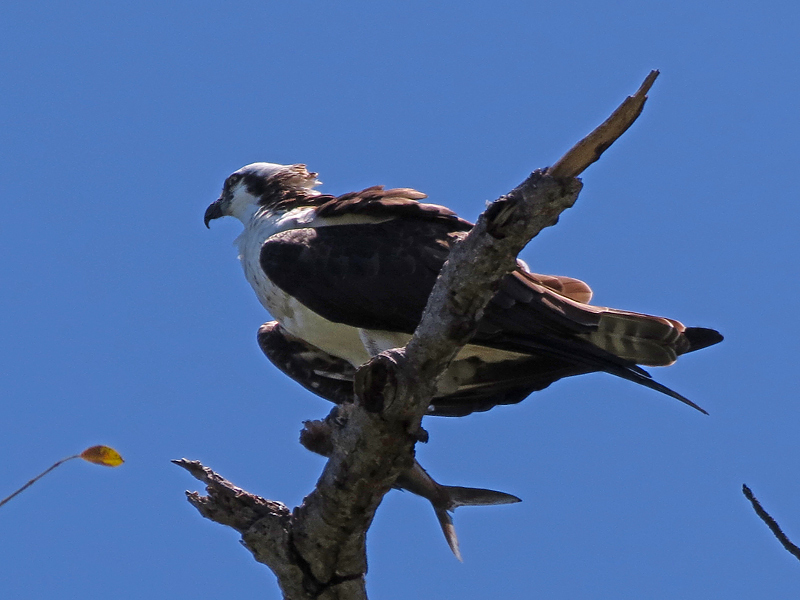 This Osprey was photographed in Gumbalimba Park in Roatan, Honduras. The Osprey is black above and white below with a white head that has a black head stripe and cheek patches. It is also known as the “Fish Hawk”, and was called this in Honduras. The range of the Osprey is almost anywhere in the world, except Antarctica. It has a habitat of rivers, lakes, and coasts. It feeds almost entirely on fish, as can be seen in it’s claw. It hovers over its prey and plunges feet first for the fish, then flies away.